Kurt Busch, driver of the No. 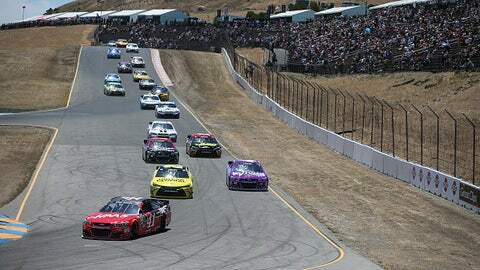 41 Stewart-Haas Racing Chevrolet, leads a group of cars through the road course at Sonoma last year. 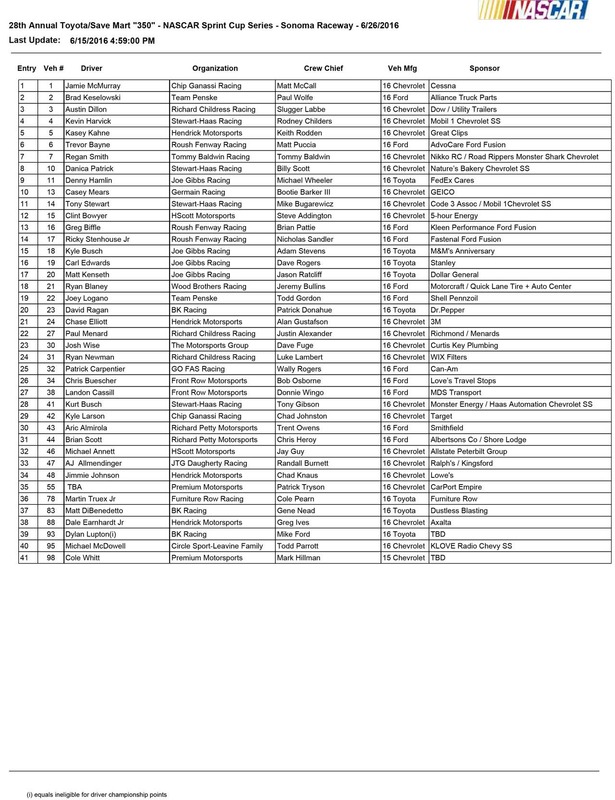 The entry list for this Sunday’s Toyota/Save Mart 350 NASCAR Sprint Cup Series race at Sonoma Raceway in Sonoma, Calif., is out.